I list any Canadian source I’ve found, which has garment making fabrics or notions I’m interested in, even if I have not yet tried their products/services. If I’ve tried a source and done a post about my thoughts there will be a link to that post. Blackbird Fabrics – Garment fabric (woven and knit), lingerie fabric, Cone Mills denim, patterns, some notions. Free shipping over $100 CAD. Spool & Spindle – Garment fabric (woven and knit), notions, patterns. Flat $10 rate for shipping, free shipping over $120 CAD. Matchpoint Fabrics – Garment fabric (woven and knit) some re-orderables and lovely selection of dead stock, some elastic/notions. Free shipping over $80 CAD! Fabrications – Garment fabric (woven and knit), denim, patterns. $1 shipping on orders over $150 CAD. Thread Theory – Fabric, notions, tools and patterns for menswear. Free shipping over $100 CAD. Thread Count Fabrics – Garment fabrics (pretty printed knits with coordinating solids, some rayon, voile, lawn and double gauze). Flat rate shipping of $6.95 or free shipping if over $99 CAD. The Work Room – Garment fabric including Cone Mills denim, garment patterns. Gala Fabrics – garment fabrics including a nice selection of silks, wool, linen, knits, French Terry, rayon and some technical fabric. Also carries garment patterns. Free shipping over $200. Etsy Craft Shop – Some garment fabric. Wilton Creek Fabrics – Garment fabric including knits, silks and boiled wool. Simplifi Fabric – Organic garment fabric (cotton, bamboo, wool) including knits, some garment patterns. Annie & Dot – Patterns on their main site and some garment fabric in their etsy shop,with free shipping on orders over $135. Canadian National Fabric – Some garment fabric including knits, flannels, free shipping over $50, free samples. Distinctive Sewing Supplies – Some garment fabric, rayon. Sew Fancy – Some garment fabric, corduroy, sewing machine feet. Fabric Fabric – Some garment fabric, free shipping over $60. Sew What Fabrics – Some garment fabric including knits. 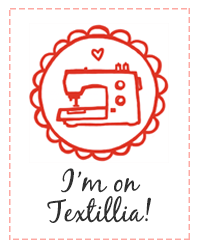 Fabric spot – knits, organics, free shipping over $150. L’Oiseau Fabrics – Knits, jersey & French terry. 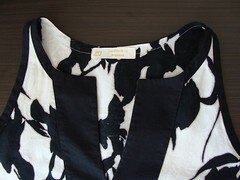 Catherine Surplus – Some garment fabric and trims. 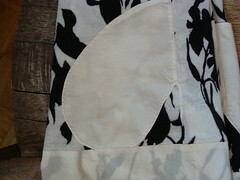 Busy Beaver Boutique – Some garment fabric. 204 Fabric n’ Stuff – Some garment fabric. Vintage Vice – Vintage garment fabric. White Studio Supplies – Some Small yardages of Eco garment fabric. Fabulous Fabric Finds – Vintage and reclaimed garment fabric. Sultans Fine Fabrics – Suiting. Labours of Love – Cotton batiste & lace. MacPhee Workshop – Some garment fabric, Thinsulate, kasha lining, coating (including waterproof). 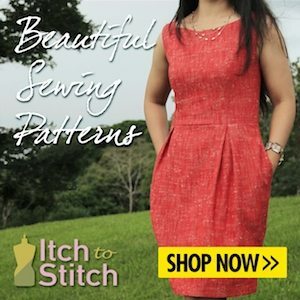 Lockstitch Fabrics – patterns and fabric by phone/email orders. Fabrics Etc – garment fabrics and patterns, free shipping over $200. Fridays Off – some garment fabric, $5.95 flat rate shipping anywhere in Canada. 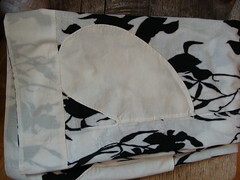 Design Your Fabric – have your own design printed on garment fabric (several rayon, cotton, silk and linen options). Bra-makers Supply – Lingerie fabric and notions. Emerald Erin – Lingerie and swimwear. Blackbird Fabrics – Garment, Activewear and Lingerie fabric/notions, free shipping over $100. Peak Fabrics – Outerwear & activewear. Sundrop Textiles – Sweatshirt fleece, activewear. Amulet Swim Fabric – Swimwear. Cleaner’s Supply – Great selection of tailoring & pressing supplies as well as nice selection of notions (thread, interfacing, buttons, snaps zippers) for reasonable prices. Flat rate shipping of $3.83 or free shipping if order is over $100. For non-Canadian sources I list only those whose products I have tried and am happy with. If I’ve done a post about my thoughts there will be a link to that post. La Mercerie – Beautifully curated selection of garment fabric including wools, rayons, voile/lawn, denim, knits and even sometimes silk. Also has a good selection of indie garment patterns. Also carries beautiful yarn if you’re into knitting (makes me want to take up knitting). Flat rate ($15-38USD depending on package weight) for shipping to Canada. Fancy Tiger – Garment fabric including silks, rayons, voile/lawn, double gauze, chambray, knits and good jeans denim (Cone Mills & Pacific Mills). Also has a good selection of indie garment patterns. Flat rate ($14.95USD) shipping to Canada. Style Maker Fabrics – Fantastic selection of garment fabrics and I find their website easy to navigate as you can search by fabric type, garment type, trends or colours. Shipping is a flat rate estimate price but shop may contact you if actual shipping cost is more than the estimate. For heavier fabrics shipping may be expensive so if you’re uncertain I’ve found the the shop owner is very helpful and responds quickly to questions. Both times I’ve ordered from here I’ve been happy with the quality. The Fabric Store (New Zealand) – Incredible garment fabric – merino wool in various weights, silk, Liberty prints, cotton sateen, voile and lawn, rayon and linen. Pricey and duty to pay coming into the country but everything is such beautiful quality that it’s absolutely worth it. I’ve ordered from here twice and have been extremely happy with my fabric, although both times the courier (DHL) has just left my order out in the open on my deck (once in the rain) which irks me slightly.